Singapore was recently awarded the coveted #1 spot in the Startracks airline awards, adding another feather to their already brimming cap. But how did they become the world best airline? And what can other airlines learn from them? Singapore Airlines has one of the more interesting beginnings than say the way most airlines are founded these days. They were founded by a consortium made up of two steamship companies and old Imperial Airways (Founded on 1 May 1947, by the Ocean Steamship Company of Liverpool, the Straits Steamship Company of Singapore and Imperial Airways), as a way to capture the growing ‘airline’ business. They called this new airline Malayan Airways Limited and would focus on the straight of Malacca and the nearby British colonies. Their first plane was an ex-royal air force plane, an Airspeed Consul, that flew between Singapore and Kuala Lumpur once a week. Naturally, as it was a British colony at the time, the airline had plenty of technical support from other commonwealth (Or colonies as it was back then) airlines, such as Qantas. From 1947 to 1957, Malayan Airways underwent a rapid expansion, creating new routes across the region, to Indonesia and to Borneo. They also went public at this time and began to trade on the local stock market (to help raise capital). In 1963, when the territories of Malaya, Singapore, Sabah, and Sarawak combined to form the Federation of Malaysia, the airline changed its name from Malayan Airways to Malaysian Airways. This, of course, is very similar to the actual Malaysian Airlines we know today. The livery of the new airline. But only three years later when Singapore (the country) left the federation, that they rebranded yet again to Malaysia-Singapore Airlines (MSA). This was also when they bought their first Boeing aircraft, a 707. They loved it so much that they bought a variety of Boeing 737s afterward. The silver and yellow livery of the airline. 1972 – The great split and rapid expansion. In 1972, there was a decision to make. Either focus on domestic routes in Mayalsia or expand international routes from Singapore. 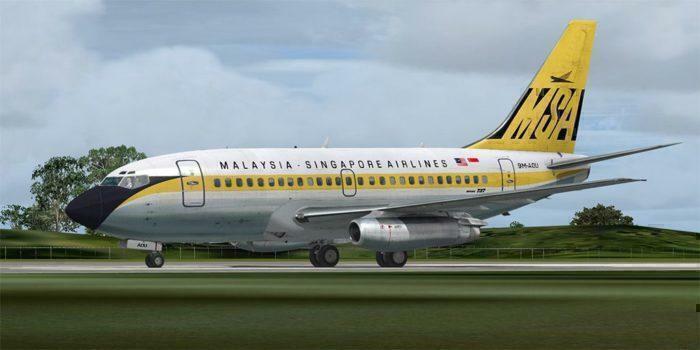 Neither could be decided so both were chosen, and MSA shut down to form two new airlines, Singapore Airlines and Malaysian Airlines System (Which would then go on to form the national flag carrier of Malaysia). With the name finally sorted and their new mission in play, Singapore was able to rapidly expand to dominate the local area. In the summer of 1973, their first two Boeing 747 jumbos arrived, which were put to work on the very profitable Singapore to Hong Kong route. They were also the first airline to run the ‘capital’ route, Singapore, Canberra then onto Wellington. 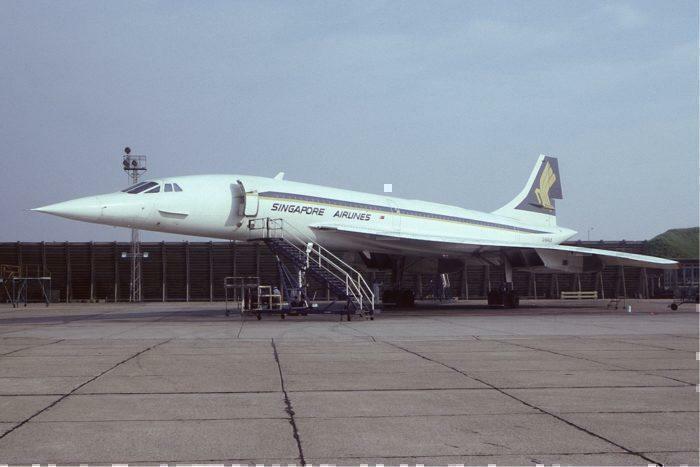 Singapore operated a concord with British Airways. 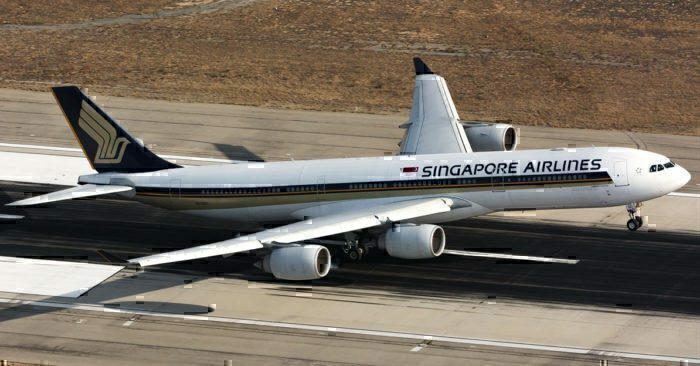 One side was painted in BA livery, the other side was Singapore livery. A little unknown piece of history was that Singapore actually ran a Concorde flight partnered with British Airways, between Singapore and London. Concorde services at British Airways were originally supposed to go to Australia, routing London-Bahrain-Singapore-Sydney, but was fully realized. The service only ran three times and had to be discontinued after Malaysia and India forbid the plane flying through their airspace (Due to the noise). They tried trading slots at Heathrow to the governments of these two countries, but they did not come to an agreement. The airline continued to expand, opening up routes to Europe and America during this time. Their 747’s were now being run direct from Singapore to the US West Coast. 1989 – Singapore enters the short-haul market. In 1989, Singapore launched SilkAir, their short-haul carrier. 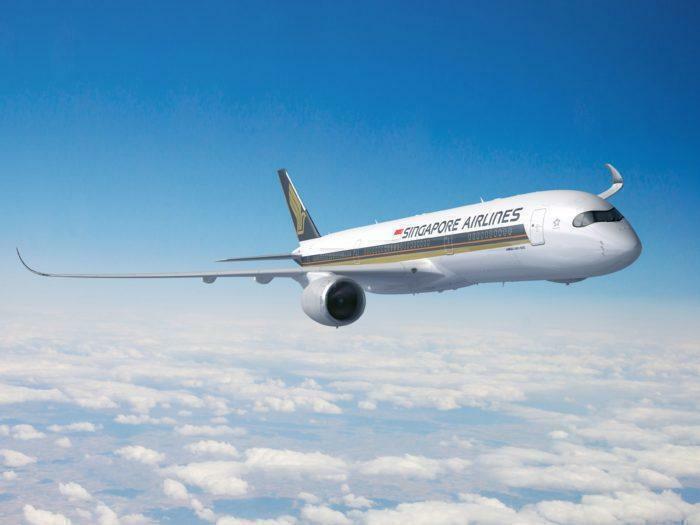 This airline would focus on short-haul routes to feed Singapore’s international routes. This was not without controversy, however, as many countries objected to Singapore running fifth freedom flights through their airports. Australia wanted to protect Qantas, Indonesia to protect Garuda and Canada to protect Air Canada respectively. Singapore with their huge fleet of 747’s and many other high capacity aircraft could simply beat out the local competition. 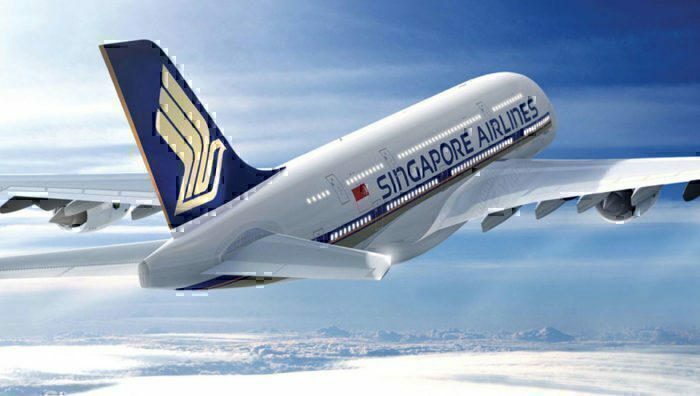 Singapore wanted to change the airline game again, and this time they did it by becoming the launch customer of the A380. They now have the 2nd largest fleet of A380s behind Emirates. With the added room on board, Singapore started to experiment with true luxury first class suites (Not like the rather embarrassing first class found on Air France). They have used the A380 to phase out their 747 fleet, and with the added capacity to dominate traffic between major cities. Singapore Airlines has recently launched their new direct service Singapore to New York using the Airbus A350-900 long-range aircraft. They now plan to use these aircraft to open other long-haul routes, Singapore to Seattle, Chicago and more. There are several lessons that airlines can learn from Singapore’s journey. Embracing the latest planes. Singapore was the launch customer of the A380, the first to use the Boeing 747 across the Pacific from South East Asia and have recently started deploying the new A350-900ULR between Singapore and New York. New planes allow new route opportunities. Additionally, they have realized that newer planes are better performing and create a better customer experience. By ensuring that they have a flexible and young fleet (under 10 years) they can buy or lease the newest planes and take advantage of features other airlines only dream about. Innovative with customer experience. Singapore has always been very innovative when it comes to customer experience. They were the first airline to have satellite communications for passengers, on-demand seatback entertainment screens for economy and first-class suites on board their A380. It’s because of these things that Singapore is truly one of the most innovative airlines in the sky today. That and their rich history of taking advantage of their geographical location, have made their awards justly deserved. Let us know what you think in the comments! Does Singapore deserve to be the world best airline? Yes they do ,there staff are very helpful on the ground but the crew on the plane go the extra mile. Have flown 3 times now with Air Singapore and can not fault , all long haul flights. Having flown SQ a bunch of times, it seems they learn from experience. While no mention is made of the aircraft and people lost in a monsoon takeoff that accidentally used a closed/blocked runway, it seems they are more careful today. This article should have been labeled as sponsored content (and not just because of the omission of the crash in Taipei). * You’re not supposed to want pajamas in biz (even on the new ULR flight between EWR and SIN), because SQ says that most customers bring their own (unless they fly in first, apparently). * You’re supposed to want a square seating area in biz, where you (a) slide around in seat mode because the seat is a bench that is too wide and (b) you sleep at an angle with no leg room. * You’re not supposed to want a seat that reclines into bed mode so that you can lounge with a greater degree of recline, because the flip-over bed is better. * You’re not supposed to want a softer sleeping surface in biz or first, even though the flip-over bed could more easily support such a surface than a reclining seat, even though a lot of frequent SQ fliers complain regularly about how hard the seats and beds are. Flying SQ in first between SIN and DXB in October. FA did not manage to smile once during a 7-hour flight. WiFi didn’t work at all. Noodles were cold in the middle. Dessert was a paper cup with one strawberry and a piece of mango in plastic wrap. So much for soft product. No it shouldn’t – Singapore Airlines didn’t sponsor us to write this (we wish)! I fear that we have omitted the crash that occurred, but if I may address the other topics you have raised. Essentially, Singapore has been rated the number one airline by customers compared to other airlines, in a fair and balanced survey. Unfortunately, it seems you had a bad experience, which does happen now and again. I hope you get another chance to try them and compare. I recently flew from Newark to Singapore on the new non-stop route with the A350-ULR and then on two flight to/from the Philippines/Singapore and then from Singapore to JFK through Frankfurt. The overall experience was wonderful (it was Business all legs), but the A350 was the best plane and best seat. I agree the footwells are a bit weird, but the service and food and drink are top-notch. Especially on the longest nonstop route. We were never left thirsty and the staff were exceptional. Overall, if you also order “Book the Cook” options, there are some great, lower calorie options that don’t fill you up and you can feel better getting off a long flight than you would had you eaten more traditional menus. I’d do the nonstop again in a minute. It was a great flight, I slept a lot (and I don’t normally sleep) and the time went quickly. The flight back to NY (JFK) seemed in comparison, endless, especially after the stop in Frankfurt and I was over it, about 3 hours before landing. But things were great overall. Note – the most comfortable Business class seat I had was on an AirFrance 777 in 2017. That seemed to have the most room to toss around in, and the service was equal to Singapore. I would fly with Singapore if I could, even in Economy. The airline is rated well for good reason. My experiences from the booking, ground, and air were all exemplary. They will soon loose their shine. They have lost interest in economy seats as evident from flying their economy class. I’ve been flying Singapore Airlines (and its predecessor MSA) since the late 1960’s across Asia & intercontinental, in every class of cabin and I have to say SIA is one of the best carriers. BA, Cathay, Emirates, Qatar & Qantas give them a good run for their money but in terms of service, quality of aircraft and cabin product I think you get good value for money. I’ve had fabulous experiences flying London to Melbourne in 1st Class but the best experience was in Economy flying from London to Singapore. My 6 month old daughter who woke up in the middle of the night crying, but before my wife & I could do anything an SIA flight attendant arrived, picked up our child, took the bottle of formula from my wife & whisked her away. Maeve was returned half an hour later, fed, fast asleep and tucked up into the bassinet; now that’s a great way to fly. SIA may not be perfect but they do a lot of things right and it’s their crew & ground staff that make the difference.